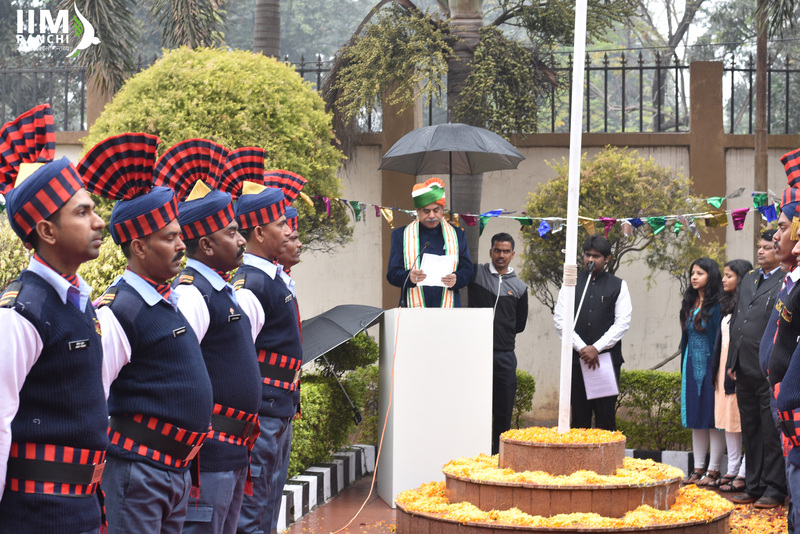 Ranchi, Jharkhand | January | 26, 2019 :: The 70th Republic Day Celebrations at Indian Institute of Management Ranchi commenced with the flag hoisting ceremony at Suchana Bhawan, in the presence of the faculty, students, and the staff members. The Honourable Director of IIM Ranchi, Dr. Shailendra Singh, unfurled the National Flag. It was followed by the National Anthem which filled the hearts of the IIM Ranchi family members with great patriotic fervour. Dr. Shailendra Singh addressed the faculty, students and staff present in the occasion. 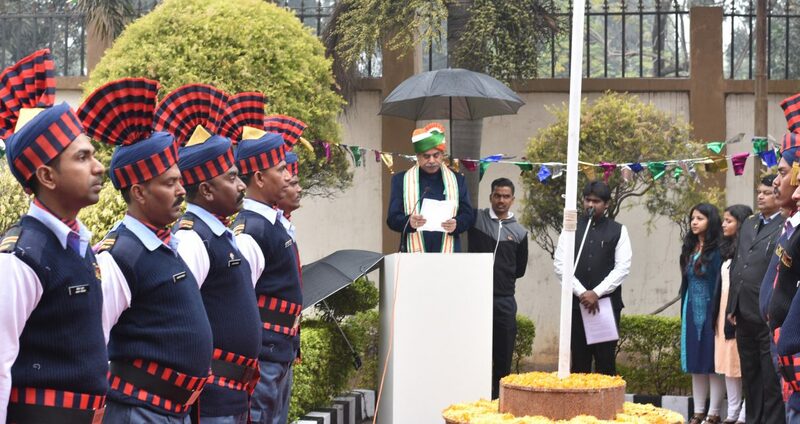 Dr. Singh administered the pledge of Fundamental Duties among the faculty, students and staff members. He inspired the faculty members to emphasize on quality in teaching, research, consultancy and management development programme and help IIM Ranchi to be in a better rank among the Management Institutions in India. He motivated the students to work with sincerity and impress their employers by showing their discipline, dedication, creativity and innovation so that the employers form positive opinion about us and visit IIM Ranchi again and again to hire more and more students. He requested staff members to work with dedication, sincerity and transparent manner in dealing with their day to day work. Finally, Dr. Shailendra Singh congratulated the Honourable Former President of India, Dr. Pranab Mukherjee on being awarded with the Bharat Ratna. Dr. Pranab Mukherjee was the Chief Guest of the 10th Foundation Day Celebrations of IIM Ranchi.